I was rumbling through some junk in the garage the other day when I came across something I set aside several times previously, a plastic storage box with all of our used mobile phones in it. I had fun photographing our collection of derelict cell phones the other night. My sister Nicole talks on the one and only phone in our house in 1980. Located in the dining room, one had to walk the length of the house to talk on it. You couldn’t sent text messages or videos, and you couldn’t take 1500 pictures of yourself with it. It was just a telephone. I got them all out and started to cogitate. What did I want to say about this? That it was funny? Wasteful? Opulent? Unnatural? Selfish? Inevitable? When I was young, our house had just one phone. When I was a baby, our house shared one phone with the neighbor, a party line. My wife Abby got her first cell phones because she and her late first husband needed them as franchise owners of Sonic restaurants in Baton Rouge, Louisiana. They were what we remembered as a “car phone,” a unit mounted under the seat, and a full-size handset on the dash or console. My first cell phone was a handsome Sony I got in 1997. My first plan included 25 anytime minutes and 300 night and weekend minutes. The LG flip phone on the left was the smallest of all the phones we ever owned. The analog “car phone” from the 1980s in the middle of this image was the largest (it also had a large transceiver/controller mounted under the passenger seat. The phone on the right is Abby’s current iPhone 6s. The Motorola Rokr was groundbreaking in 2005 as the first phone that was also an MP3 player. As a phone, though, it wasn’t loud enough and never had a very good signal. As the years went by and technology marched along, Abby and I each upgraded and replaced our handsets. 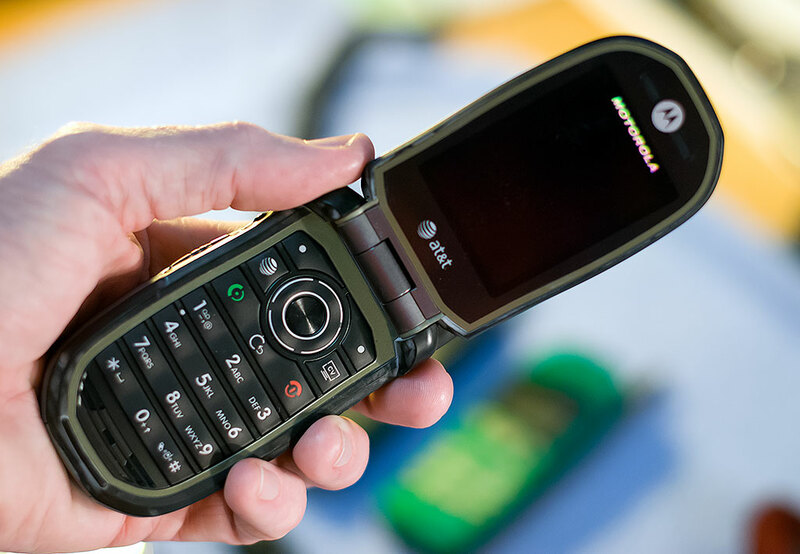 When we got married, so did our mobile phone service plans, and in 2005, we got matching Motorola Rokr phones, which was the phone to have back then. We also recently had matching iPhone 5s. 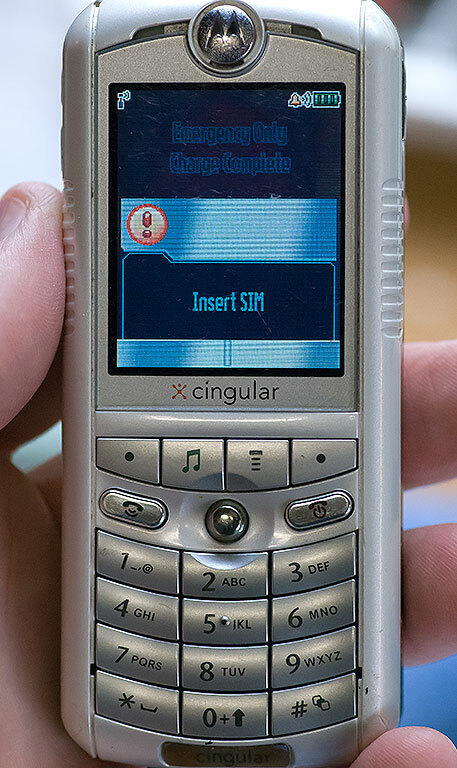 Near the end of her life, my mother wanted a phone that “was just a phone,” and bought a Samsung Jitterbug, which worked fine for her. My first cell phone was this analog Sony. It didn’t have a camera and couldn’t send text. I often wonder about how much it cost in real terms – environmental, economic, social, emotional – every time we renewed a contract and got a free new Nokia or Kyocera. 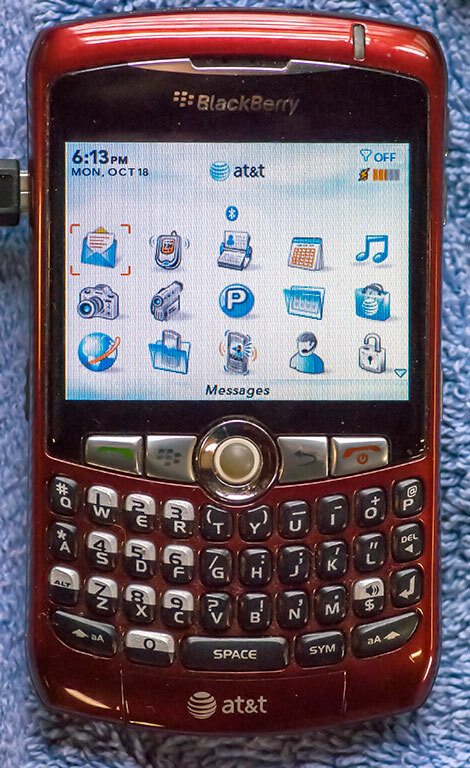 The best phone I ever owned before the smartphone era was the tough, good-looking, reliable Motorola Tundra. Abby had a blackberry for a while in the years leading up to her first iPhone, the 3. The Blackberry wasn’t a good phone or a good smart phone. 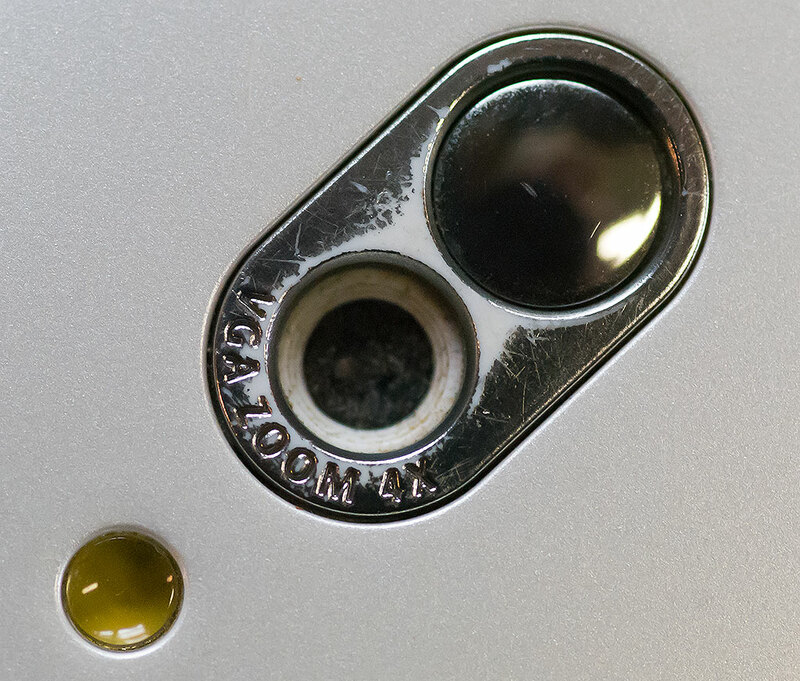 The Motorola Rokr didn’t have the display and the camera on the same side of the unit, so this tiny, round mirror was installed on the camera side for composing selfies. 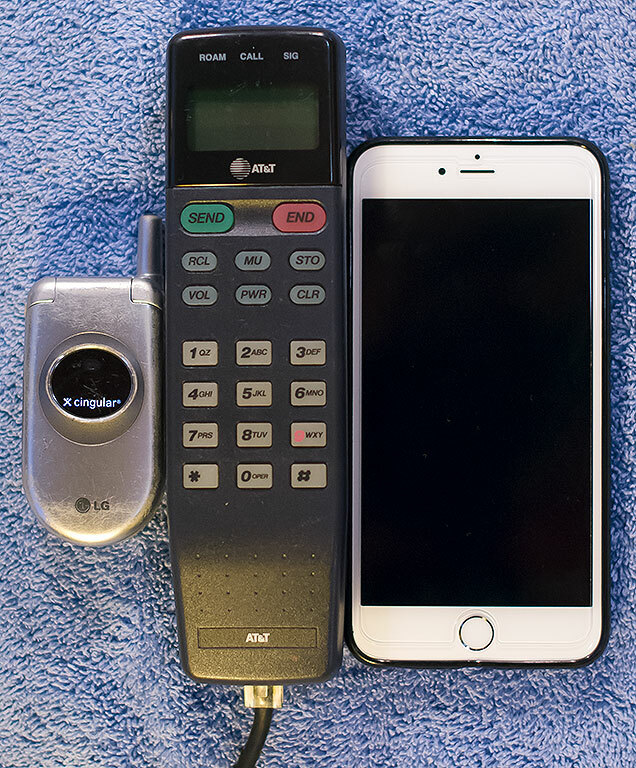 I have also been amused and annoyed to watch phones get smaller and smaller, then when smart phones arrived, get bigger and bigger. Today we each have one of the latest iPhones from Apple. But it certainly was an exercise in disposability to get from our bulky, analog mobile phone beginnings to where we are today. Behold the power of illusion, the illusion that we needed each of these phones that we later threw in the trash. There are 21 phones in this image, though two Motorola Razrs and another an older Nokia ended up in other hands. Three of the phones in this picture belonged to my parents. Also missing is Abby’s iPhone 3, which is now the MP3 player in my car. 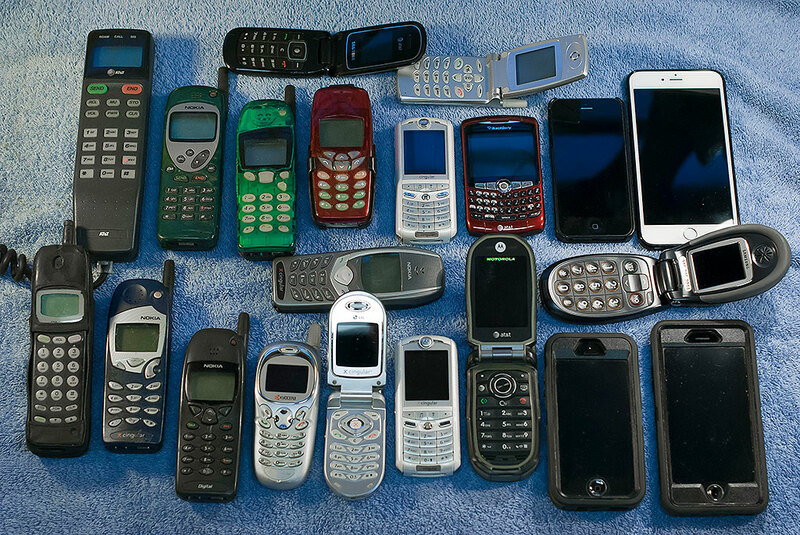 Most of these phones worked fine when they were retired. 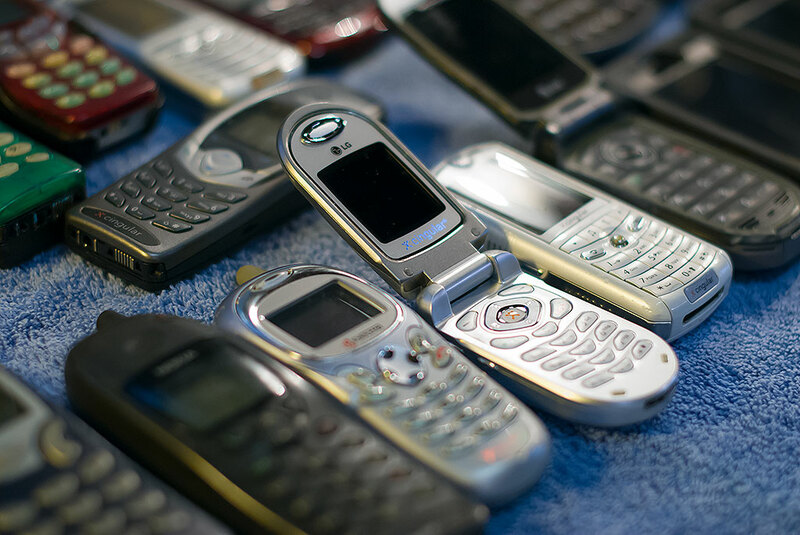 The sentence, “Most of these phones worked fine when they were retired” makes me shudder. No. Just NO. I don’t get rid of phones (or for that matter, cars, or clothing, or eyeglasses) until they don’t work anymore. I cannot imagine upgrading just for the sake of having new features. Also? MY GOD I was beautiful. How come I got bullied so much and so often, for being ugly? Because most Lawtonians are douchewads. I like that you included “inevitable” as one of your questions. It’s certainly possible that in order to “get to the other side” (our eventual destination with technology, whatever that might be), we must go through dozens of intermediate iterations first. On the other hand, I sincerely believe that too many of us have simply bought into the idea that we’re supposed to get the next gadget or be left behind. Personally, I like to use each new device I buy as long as it lasts, regardless of whether my contract has ended. First off, Nichole you a were always beautiful. I have no doubt you remain so presently. Secondly, I love seeing all this phone/stuff gear together, across incarnations and generations. These are the type of illustrated points I both expect and so enjoy. Thank you. Best looking phone for my money? The analog Sony. Now, -that’s a phone.